Currently listening to the sound of hot oil in the pan as I’m frying dodo. It’s the last Tuesday of this year 2016 and if you follow me on Instagram you’d notice that I’m consistent with posting photos of shoes I see on the internet that I’m inlove with using the hashtag #TuesdayShoesDay but today as highly requested by some of you, I’d be showing you shoes I got in my 2016 shoe challenge. What’s the shoe challenge about? So in January 2016 I realized I have never bought a pair of shoes myself and decided to treat myself every month (major key alert) to a new pair of shoes whether heels, flats or even slippers. JANUARY : This white courtshoe is a heirloom I got from my aunts wardrobe. FEBRUARY : I had this black sandals earlier on but never really liked it till I added studs to it and it became brand new. APRIL : This was one of the first blogger gifts I got and from all my pictures wearing this shoe, I’m certain you already know it’s a favorite. MAY : This court shoe was another abandoned property that I brought back to life by these easy steps. AUGUST : I got this pink lovely birkens but I thought making a huge bow Tzar inspired slides out of it will be a better option as the pink kept getting dirty (chronicles of a Lagos Trekker). SEPTEMBER : I woke up on the 2nd of September to a text saying someone had anonymously paid for me to get two shoes and I later found out it was the Mr. No need for more details, you already know that shoe is VERY SPECIAL to me. OCTOBER : My friend had this in her closet but she hated it. With such cute low block heel and my love for comfort, long story short… it’s mine now. NOVEMBER : I wasn’t planning to buy any shoe this particular month because money kept leaving my account but my mummy came through for me with this Orange lace up flats. I absolutely adore it. 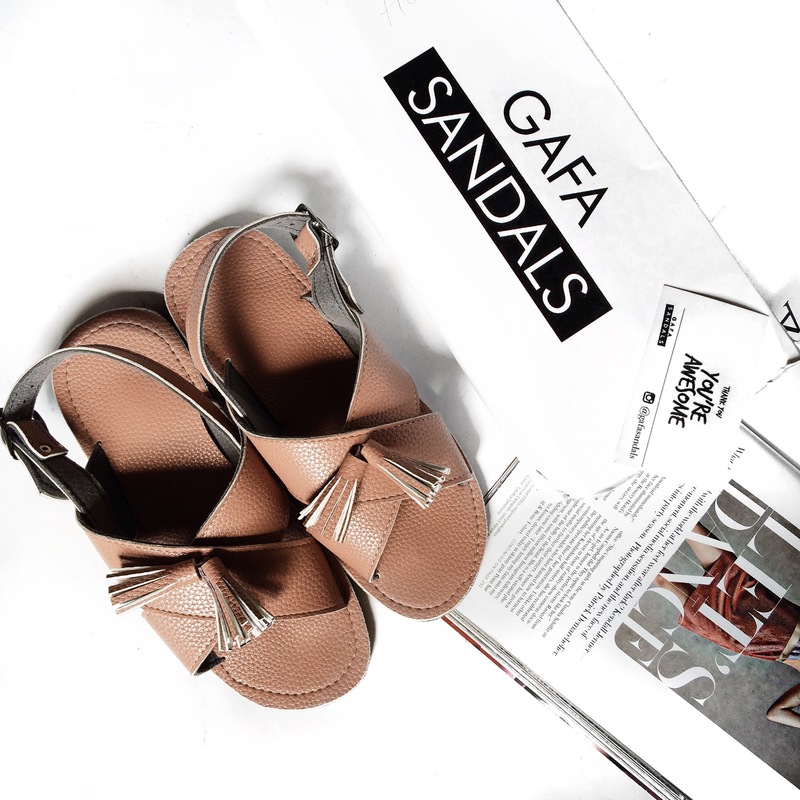 DECEMBER : The amazing people at GAFASANDALS made my wish of owning this tassel sandals a reality. I couldn’t have wished of a better Christmas gift. *Shoes for February and June were nowhere to be found to be photographed and one for July I had to resell because it wasn’t my correct fit. This challenge can be done with anything you feel you’re lacking in your wardrobe or generally, like a pair of jeans bi monthly, new lingerie every month etc as long as you treat yourself and whatever it is you’re buying makes you happy. Currently thinking of what challenge to embark on in 2017, your suggestions would be highly appreciated as always. What have you been buying yourself this year? If you’d take a challenge like this, what will you be buying? 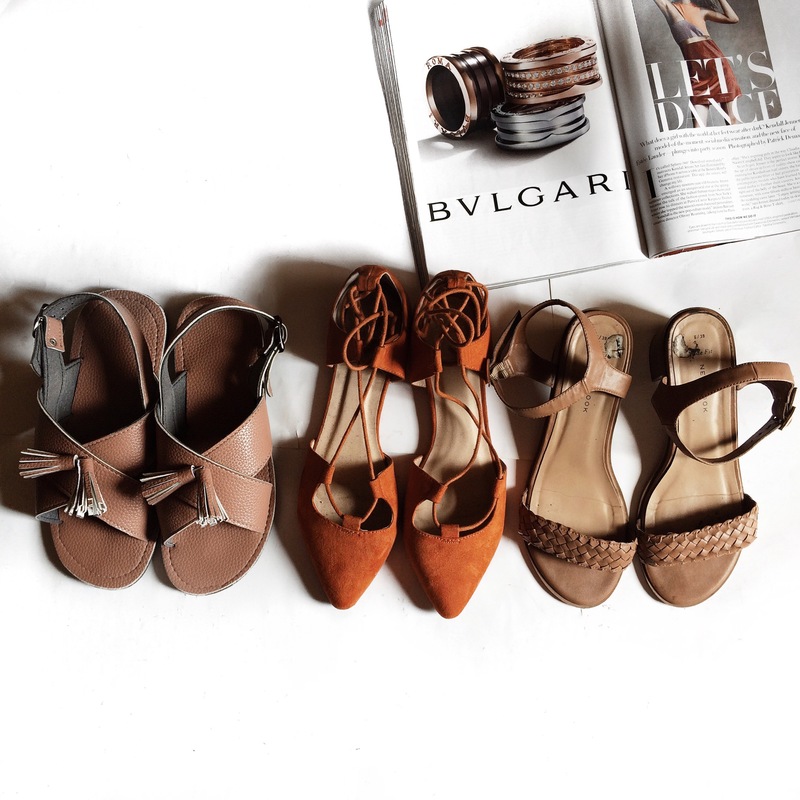 Which of the shoes do you like? Do leave me a reply, looking forward to it. So glad you posted about it, Your Collection is Lovely, I think I will embark on this challenge in 2017! You can try Uping your Makeup collection in 2017, getting a new makeup product a month. Or Outing dresses like dinner oufits and all. Definitely doing this next year for heels. I have none! Can’t wait to see your buys!! That will be awesome Vincent. I love this post, come 2017 I will embark on a makeup challenge. I not only lack in that department… I own no piece of makeup 🙈. Definitely doing this for 2017. Definitely. I really love this challenge, might add more things to it. Thank you for always being inspiring. And I really love your page layout. Thank you so much babe. I’m doing this challenge again because I love shoes but maybe bi monthly. DIY isn’t treating myself though but I can do that alongside others. Ur shoes game z major goals 😍 gafa sandals nd d white slip-on with d block heels are my faves, i envy u ryt nao. I didn’t really buy things for myself dis year but I’d make it a habit next yr, maybe d lingerie cos I’m lacking in dat area or shoes sef since i always steal mum’s shoes nd never bother to have my own. Anything is fine babe as long as you’re treating yourself. I love love the white court shoes and the black ones with the studs. I’m a shoe freak and I have over 20pairs but I think I’ll commit to buying a makeup item every month in 2017 and maybe shoes bi-monthly. So I just started following you and Ur page b giving me life.. Super Lovely.. Had long planned to embark on a shoe challenge in “17.. Need em!! Thank you so much for this wonderful idea😍 At Least i get to give myself a treat every month in 2017. Whoop whoop you go girl, anytime! I really just have a question I’m really curious about. I like your Instagram feed and how they all fit into the conventional Instagram picture size border. This is why I’m curious, how do you resize your pictures (even ur snapchat pics) to fit into ig without that annoying white border that apps like instasize give. None of your pictures have that white border, pls how do you do it? I think I collected the highest number of sunnies and lipsticks this year. I’m planning to collect hats and footwear come 2017. Sunnies and lipsticks are a daily treat for me lol. You go girl and be sure to share your buys. I’ll spread out the challenge to various essentials I need through the year. I only got one heeled shoe this year and the others flats. I need more heels especially comfort heels. More block, more wedges. Let’s go 2017! I have that plan too!!! 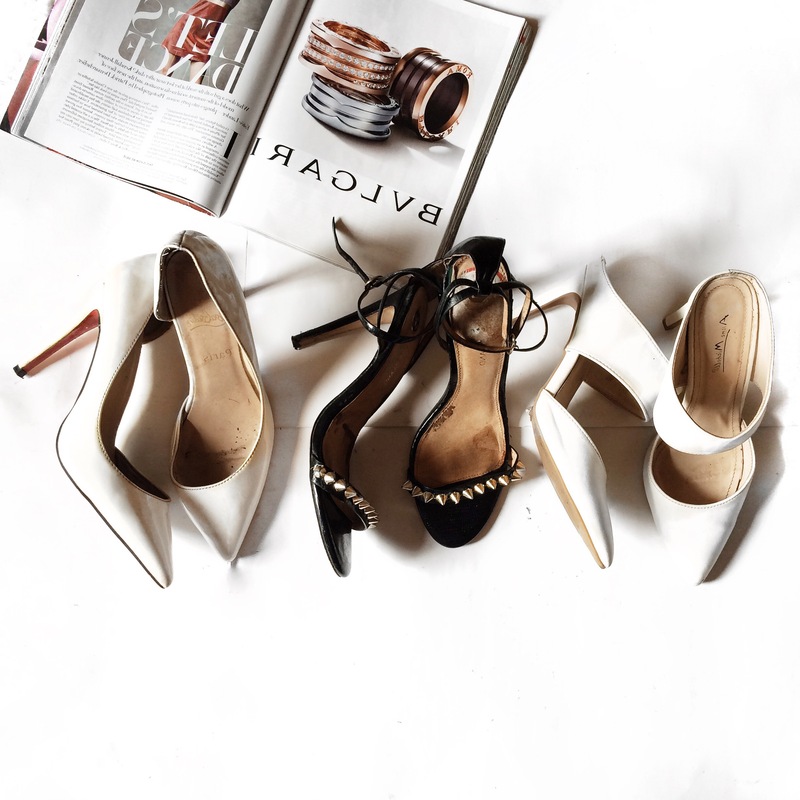 Comfy heels for the win. This is a really good idea though. I’ll have to put this in my list. I think I deserve to get myself a pair of shoes or anything actually every month. Spoiling yourself once in a while is key. I love that brown show and the white mule heels too.. My favorite. The shoe game is strong in this one!!! Lol yup I’m a huge Star wars fan! You should check the asos website, they have amazing shoes on there! As for the challenge, I think I just may do it with dresses! I suddenly have a thing for them and may get one monthly!!! We’ll see! Oh lord, It would be so nice to have a challenge like this but my wallet is screaming. Maybe I’ll do something smaller, like accessories challenge (considering I’ve always had a lazy relationship with them) or clothing challenge. Maybe even makeup.. or books! Got a lot of thinking to do.